Source Codes file (on java 8) are included in the course material. BONUS: if you are in this course, that means you are are getting exam and certification without paying anything extra along with Completion Certificate. Java is the most popular, powerful and highest job oriented programming language so far. Consulting, not just one or two, in fact any top survey for “Job oriented market for programmers”, you will find that java is always there in top 3 position. After the implementation of java in android projects, a new job market got opened up. Java is diverse enough to build Mobile applications, android application, Desktop application or even Web application. Now that you have understood the importance of java, it is a great time to start learning it. This course will give you full knowledge along with practical examples to learn java. The entire course is focused on practical coding rather than showing examples on power point. Entire course is divided into various Modules and implementation of java starts from very first lecture. Our Java programming course assume that you have no prior programming experience in any language and will teach the installation of java, along with IDE. A lots of options for Integrated Development Environment are given but this courses uses Eclipse, available for both MAC, windows and Linux users. After learning basics about java programming vocabulary, we will move on into the concepts of Object oriented programming. Terms like OOPS, object, classes, inheritance, polymorphism will be our next target. This java programming course will teach you daily life examples on classes, extending classes and various other situations for a programmer working in industry. The precious lectures on Java 8 will guide you in a smooth manner without here and there talks. Java is fast, secure, and reliable. From laptops to datacenters, game consoles to scientific supercomputers, cell phones to the Internet, Java is everywhere! 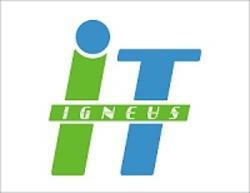 We at Igneus have trained students from IIT's, NIT's and reputed companies. Students from all over the globe have trusted our High quality and affordable trainings from 10+ countries and have opted for our Certification programs. IGNEUS stands for the Revolutionary and a quality enhanced change that we’ve tried to come up with in the modern world of Internet education. We’ve come up bearing in mind the maximum emphasis on the quality dealing with every new technology which has made us distinguished from the throng at internet. And this revolution of choice will keep continuing. Today IGNEUS Technologies has proudly lifting up the tag of being the world's most trusted provider of myriad of services and training programs aiding constantly in every corner of the globe along with web security aspects, and open source technology.